If you could use some Pyrex dishes, check out this deal I just found at Macy’s. 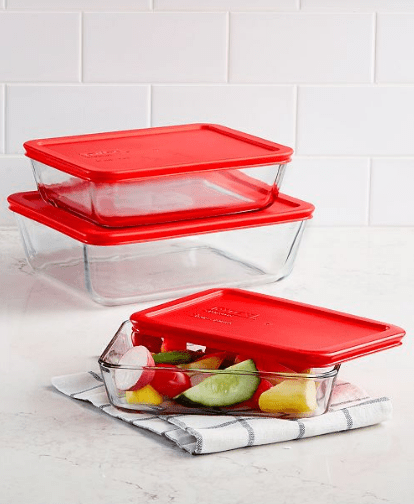 You can get this 6 piece Pyrex Rectangular Storage Set for $12.50! It is priced at $24.99, but you can use coupon code HOME to take 50% off. They have a lot of other really great deals going on right now, so you may want to take a look around.